1.75 Cts Black Diamond Earrings in 18K Yellow Gold . 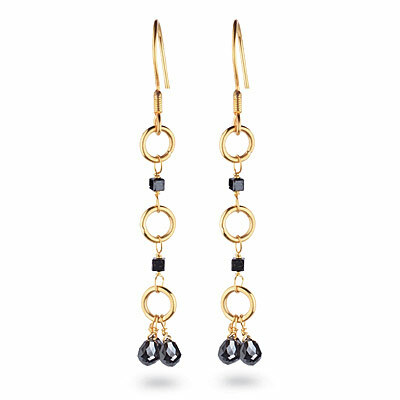 These gorgeous Black Diamond Earrings display two AA quality briolette-cut and Black Diamond beads each set in 18K Yellow Gold. Approximate Black Diamond Weight: 1.75 Carats. The earrings come finished with French wire backs.